We Brits Love Our Holidays… But Can We Afford Them? 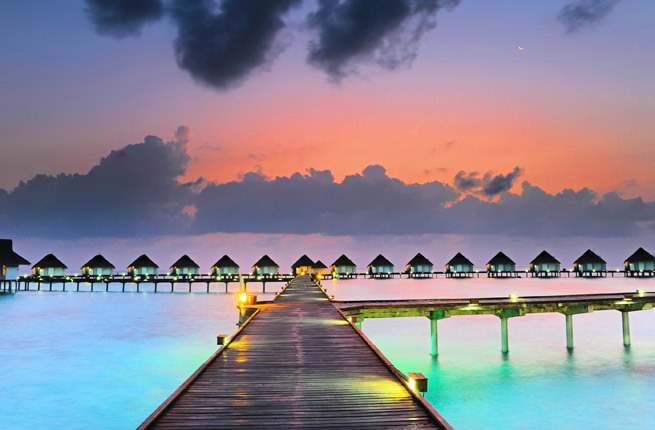 Don’t just think about your high street travel agent. Often, they just won’t have the cheapest options available. You also shouldn’t just go to any old booking site – you’ll want to compare. I personally love sites like Kayak – you can compare the best possible deals easily and read reviews at the same time. You don’t just have to settle for flights OR hotels, you can actually get a package you create yourself, so you can compare side by side. Nice. The jet set life isn’t all about literally jetting off on a plane these days! For some people, escaping for a bit of winter sun can mean taking a range of different transport options. You can go by train, bus or even a coach – for large groups, try International Coaches, or for smaller parties, try a scheduled option like National Express. Providing you’re not travelling with any kids, why not forego the traditional hotel set up, and look for something slightly more whimsical – like a hostel or even couch surfing? As with anything, please be careful of your safety, but you are absolutely bound to make new friends if that’s what you’d like! Consider self-catering trips. Eating out is great, and can still be done as a treat, but it soon adds up spending so much every single day! Consider a trip to the supermarket when you get to your destination, especially over the winter months. There’s nothing better than cooking up something nice in a group, using locally sourced ingredients you might not get at home. Comfort food is the ultimate – giving you energy for your adventures and saving you cash on touristy restaurants! Planning a weekend in London but don’t know how to make the most of your stay? Don’t worry…help is at hand! If you’re in London for a relatively short stay then you’ll want to make sure that you see the best of the city – here are a few tips on how you can have the best visit possible. Firstly, plan ahead and make sure that you book accommodation that will best suit your interests. You’ll probably fly in to one of the 3 largest airports (Heathrow, Gatwick or Stansted) but it’s probably best to book a hotel in a more central location, rather than close to any of the airports. That’s not just for reasons of noise – each of the airports are a little way out of the centre, so booking a hotel in a more central location will leave you more time to enjoy your stay. You should also book your hotel to suit your budget and your requirements. If you’re intending to spend your days out sight-seeing and your evenings eating out or going to catch a show then it may be that you’ll barely be in your hotel. If that’s the case, then why not opt for a slightly cheaper hotel and maximise your available budget by spending the money that you save on entertainment. There’s plenty to see in London and the biggest problem that you’ll have will be narrowing down the options. It’s worth getting a good map of the city, as you’ll find that a lot of the central locations are within easy walking distance – this means that you can make better use of your time, as you’ll see plenty above ground that you’d otherwise miss if you were on the Underground. As an example, Buckingham Palace, the Cabinet War Rooms, the Houses of Parliament and Westminster Abbey are all within easy walking distance of each other. That means that you can cover those attractions relatively easily. In fact, once you get to the Houses of Parliament, you’ll also be able to see the London Eye, which is also easily reached by crossing Westminster Bridge. Pre-book attractions where possible. When it comes to spending a weekend in a city, it’s important to be organised. Pre-booking attractions and pre-arranging routes around London may feel like a bore when you’re sitting at home but it will save you plenty of time when you reach the city. There’s plenty to do in the evenings, with the various London shows always being popular. The heart of London’s theatreland is to be found in Shaftesbury Avenue and you’ll also find plenty of eating options nearby (particularly in Soho and Covent Garden). Many of the top restaurants have websites, so you can pre-book these too before arrival in London, if a particular one has caught your eye. Many restaurants will offer pre-theatre menus: these are served before show times, ensuring that you can get a meal before heading off to the theatre. I will recommend to buy Culture Club Tickets, they will perform at The O2 on Tuesday 9 December 2014.There is not a country in the world that doesn’t know the names of Boy George and Culture Club, Grammy Award winners sold in excess of 100 million singles and over 50 million albums, and were one of the biggest pop bands of the 1980s. This will be their first live performance together for over 15 years and an evening not to be missed. To sum up, the key to having a great experience in London is to plan your stay in advance. Get a good map, find a centrally located hotel and pre-book as much as possible. Year in year out, there’s a great footballing tradition that all football fans get really excited about, and that’s the FA Cup. Formally known as the Football Association Challenge Cup, this is a knockout competition in English football that has been played for over a century. For someone who doesn’t like football, it can be difficult to get excited about yet another football tournament, but there’s something about the FA Cup that makes it different. And once you know a little of its history and philosophy, you may not find sitting through the games with your partner quite so dull. You never know, you may even get interested in the proceedings and enjoy it! The first FA Cup was held in 1871-2 and the reason that it’s so special is that teams of all abilities get to compete against each other. Teams from the Premier League, the Football League and the FA National League system are all eligible to enter the tournament. Amateur village teams have as much right to take part in the competition as the Premier League Champions. So there’s always the possibility – however remote – of a small ‘minnow’ team going through the stages and actually winning the Cup, even when facing some of the big-name teams. It’s very rare that this actually happens, however, as they usually get knocked out in the early stages. Also, in general, the qualification rounds and the bye system that is in place mean that it’s unusual for the biggest and smallest teams to ever actually face each other in the competition. The first rounds for the 2014/2015 FA Cup have already begun, and if you’re interested in FA cup betting you can already see the odds at sites like Bet365. As it’s so rare that one of the minnow teams will actually win, the favourites are always the big name teams. For example, at the time of writing, Chelsea is favourite to win with most bookies with odds of around 6/1, followed by Man City, Man United, Arsenal and Liverpool. But that kind of bet isn’t really as much fun as putting a fiver on your favourite team – and just seeing what happens with it! If you’ve not yet got an online betting account, now’s a great time to open one, as most of the sites have promotions available for new users – such as a free bet to the value of the first one you place. If you’re going to have a bet, you may as well have a bet for free at the same time. The FA Cup will be played in stages all through the football season through to the final which will take place at Wembley Stadium on 30 May 2015. For football fans, it will be a packed fortnight of footie as the English football season comes to an end, with the final day of the Premier League season on 24 May, the FA Cup final on 30 May and the Champions League final on 6 June at Berlin’s Olympic Stadium. If watching the different stages of the FA Cup during the year hasn’t whetted your appetite for the beautiful game, though, maybe you’d be better off booking a holiday and leaving the country for the fortnight! The North of England may not garner the same amount of universal attention as the South, which of course is the home of London, but in term of vibrancy and cultural importance it is hugely important – the similarities with Game of Thrones is scary. The North is the home of three great cities: Liverpool, Manchester and Leeds, all of which are an hour apart on the train and make for great destinations. There is no denying that London is England’s finest city, alongside New York it is the most important city on the planet, but that’s not to say that the North is not without its benefits. Unlike the South, which is London orientated, the North is an amalgamation of industrial cities which each have their own cultural identity. So what makes the North so good? The North is a hotbed for sport; most of the country’s world renowned teams hail from these northern climes. Football is the sport of England and the North is definitely its home. Manchester has two teams: Manchester United and Manchester City, the former are the most successful domestic team, with 20 titles to their name, while the latter are the current champions. 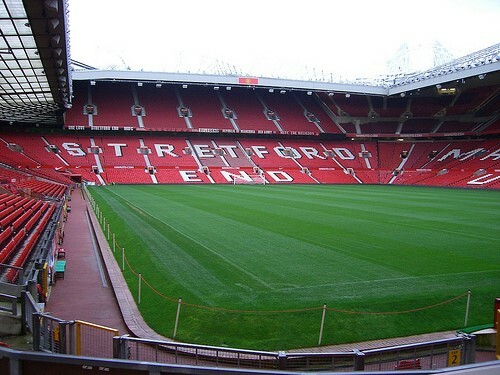 United’s stadium, Old Trafford, is a steel behemoth with a total capacity of 75, 731 it is the ninth largest stadium in Europe. Over in Liverpool you have a further two brilliant teams: Liverpool and Everton, who play at the iconic Anfield and Goodison Park stadiums. Liverpool are England’s finest export with five European Cup successes. As for Leeds, there side has fallen into disarray in recent years, currently plying their trade in the second tier of English football, but attendance figures at Elland Road: 2013 average 25,088 proves just how passionate the support is. Rugby League is a pillar of northern sporting culture. The game was formed to break away from the bourgeoisie Rugby Union governing body in 1895, and is very much the working man’s game. While their football team may not be offering much for the people of Leeds, they can always take comfort in the brilliance of their Rugby League side, Leeds Rhinos. The Rhinos are the third most successful side in Rugby League, after St. Helens and Wigan, both based in the North, and are among the favourites to win this year’s Super League. You also have two extremely good cricket sides based in the North: Lancashire and Yorkshire, the latter have recently won the first division. In terms of passion you can’t beat it. The sporting clubs of the North are an extension of people, they really are part of them. Whilst the age-old rivalries between Lancashire and Yorkshire, something that dates back to the War of the Roses (1487), means that there is a friendly animosity between fans when their respective county representative plays. For those that love all things sport then the North of England is ideal for you. You really cannot dispute the importance of the North in the making of modern music; you can try but you’ll lose. For those who have lived under a rock; Liverpool gave us the Beatles, the godfathers of Rock ‘n’ Roll. The city, as it would be, are proud of their favourite sons. Anybody that claims to be a Beatles connasseur and hasn’t visited Liverpool are false. 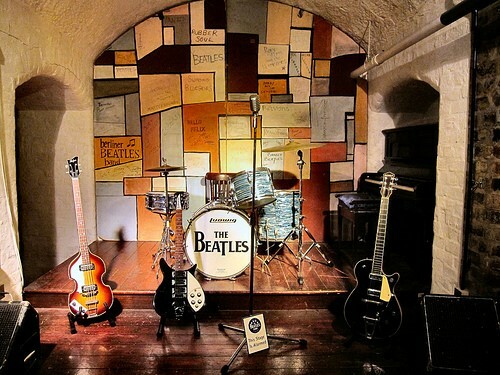 Not only can one visit the infamous Cavern Club; the place where the Beatles forged their early sound, but you can visit Penny Lane, Strawberry Fields, the childhood homes of both John Lennon and Paul McCartney, and the most complete Beatles museum on the planet. It is quite incredible that the world’s biggest band came from the industrial heartland that is Liverpool. Liverpool was the birthplace of Rock ‘n’ Roll but Manchester was where it flourished in the years past. You need to take a seriously deep breath before trying to reel off the names of all the Manchester musicians that have come to fruition. Here goes: The Chemical Brothers, Elbow, David Gray, The Happy Mondays, The Hollies, James, Joy Division, Morrissey, New Order, Oasis, The Smiths, The Stone Roses, and many more. Manchester is music. To have been around the city in the 1970s, 80s and 90s was a special time. The city still has a culture of underground music and allows it proseper with numerous intimate venues that are always packed to the rafters – it is also the only place in the world to have had a second summer of love: 1988-89 during the height of Madchester. Liverpool may have invented Rock ‘n’ Roll but Manchester supplemented it. Even stateside Manchester has flourished; in 1965 the city managed to produce a unique hat trick of US number ones – a feat that has never been achieved again. Indie is at the forefront of the music scene in Leeds with bands such as Alt-J, Pulled Apart By Horses and The Sunshine Underground all hailing from there, as to, the Kaiser Chiefs. The city is also home to Leeds Festival; the 2014 edition saw the Arctic Monkeys; who are also from Northern England, Blink-182 and Queens of the Stone Age headline, which is one of the biggest music festivals in the UK, second only to Glastonbury. Just like sport, the North is a powerhouse of music. England has contributed so much to the music game but if you took away the North then it wouldn’t be anywhere near as special as we like to make out. For those who love music then you need to visit the North of England. The relics and venues from the 60s, 70s, 80s and 90s are still there and these cities are still churning out great acts, recent successes like 1975 and Alt-J have worked their way up from the indie scene, so you really could be seeing the next big thing. Due to the three cities being heavily involved in the industrial revolution of the late 19th Century there was an influx in capital. With these cities thriving money was readily available to invest, and once work was complete on improving infrastructure what better way to spend it than self-beautification. Liverpool is a fine example of sprucing yourself up; something that continues today, except with women not buildings. At the foremost of its Empirical powers Liverpool set about a mass construction project. Today the city has 27 Grade I listed buildings and 85 Grade II listed buildings, it also has the largest amount of public sculptures in the UK aside Westminster and has more Georgian houses than Bath. English Heritage describes Liverpool as England’s finest Victorian city. Manchester is much more artistic than the other two. The city was at the forefront of the fabric industry in Britain, something that is now dormant. These massive buildings have now been turned into just about anything: apartments, shopping space, offices, and even skate parks. It is a city that is at ease with itself and one that identifies graffiti as art not vandalism. Leeds has the greenery provided from the mass that is Yorkshire. There is plenty of parklife around the city, most notable Roundhay Park. The park stands at over 700 acres and is one of the largest of its kind in Europe, housing two lakes, a mansion and a castle. Space is very much the best feature of Leeds, the surrounding area is massive. It really doesn’t take long to leave the hustle and bustle of the metropolis and escape to idyllic countryside. Hopefully upon reading this you will be inspired to visit the North. The places are brilliant, the people are brilliant, the gastronomy is fantastic, the accent takes some grasping but that is hardly a negative, and if you needed any more inspiration it is extremely cheap. Which London Hotels Are Best For Attending The Theatre? Are you planning a trip to England and wondering which London hotels are best for attending the theatre? Are you looking for a super cultural experience? The capital of England and the United Kingdom is the European Union’s most populous city and home to some 7.5 million people, well over 3,000 museums and more than 100 theatres. Whether you are a theatre buff or just looking for an evening of excitement and entertainment, London is the place for you. At any given time, you will find offerings from Shakespeare to Mary Poppins, Lion King to the Blue Man Group, Guys and Dolls to Monty Python’s Spamalot. Prices are anywhere from affordable to expensive. Whether you go alone or with a group of friends, you’ll find excitement and options. You may be asking yourself; which London hotels are best for attending the theatre? That depends on your interests and your wallet. First, you will want to decide which of the many plays you want to see. You might want to stay close to one or more of the theatres. Perhaps you prefer to stay in a more central location, near public transportation (such as the “Tube”, London’s subway) so you can get around and do some sightseeing during the day. London offers options for everyone, whether you prefer a boutique hotel or a Bed & Breakfast. Alone, with your partner or in a group, you will find the city has endless possibilities. Some London hotels also offer packages that include theatre tickets. 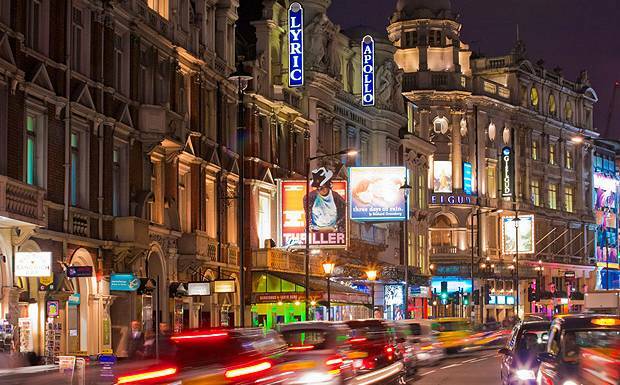 Hotel Direct offer some of the best theatre breaks in London. With your theatre tickets and hotel room in one great package, you can save up to 75%. While theatre is a highlight, London has so much more to offer. Besides the Globe Theatre and Royal Opera House, you have Buckingham Palace, Big Ben, the Tower of London, Westminster Abbey, and St. Paul’s Cathedral. If history and culture are more of interest, do not miss the British Museum. For art, it is the National Gallery and the Tate Gallery of Modern Art. Been looking for a man of mystery? Check out the Sherlock Holmes Museum. Maybe you want to see the changing of the guard, or you may go shopping at Harrods or Harvey Nichols, where Princess Di used to shop. Like music? From symphonies to musicals, you will find something that you enjoy. In this financial and cultural capital, the list of possibilities goes on ad infinitum. Easy to reach, London has five international airports and a large shipping port. People from diverse ethnic groups make London, giving the city a special energy and special culinary delights. If London has a weakness, it might be the weather: mild but damp year round. However, nothing will dampen your enthusiasm for the many theatre and other opportunities and activities the city offers. Whatever you do in London and whichever London hotels you choose, your stay is sure to be memorable! Your trip to Las Vegas will be no more or no less than you make it. The problem with gambling destinations such as this is that if you spend your entire allotment of funds in the first few hours you are in for a very long and quite boring and possibly hungry vacation. It requires a great deal of self control in order to really win at the games that are most often played in this city. From the bright and glittery nightlife full of dancing girls, flowing booze, and the eternal ringing of the slot machine, Las Vegas is a city that was quite literally built on broken dreams. If you do not realize this going in, the chances are rather great that you might learn the lesson the hard way. This is in no way whatsoever meant to discourage your from visiting or from taking the gamble in the casinos. That is after all the main attraction for a visit to this city.This is just a friendly reminder that in all things moderation is not really all that terrible a thing. If you’re going to risk at all, at least wait till you’re getting ready to head out of town rather than doing it your first night in. If you get the chance during your visit find out all you can about the history of this city. I think it will make the trip that much more meaningful to you and might romanticize your time in the city a little bit too. Plus, for your guys, the girls love a good story and if you can woo them with grand stories of Vegas lore, then perhaps you will find a little luck of your own during your visit. Through the years Las Vegas has had both vocal critics and outright devotees, they’ve legalized prostitution, kept gaming alive and well where others had failed to do so and stood against and corrupted more local and national government officials than anyone might ever care to admit. If one had all the facts about this city and it’s oh so interesting history I would certainly love to read this tell all book. Even more than the past, the presence of Las Vegas is raising many eyebrows across America in disdain while others look on with rapt attention. From the gambling and the dancing girls, the bright lights, the games, the gold, the glam, and the glitz there are people that love it with the equal intensity of those that hate it. I guess some things about Vegas will never change. I would choose to visit Las Vegas over many American cities because its history isn’t painted as lily white. This is one city that lives in sins and relishes that fact about itself. While some may call it ‘Sin City’ I prefer to think of it as a city that is unburdened by the sins of its past. When you think about it, those that are simply passing through commit most of the sins of Vegas. Portugal offers many attractions such as sub-tropical volcanic islands, lush green meadows and not to mention 528 miles of beautiful beaches. Rich in tradition and history, it is one of the oldest nations in Europe. Architecture is just one of the many intriguing features. Especially the Gothic style called Manueline which reflects the country’s prosperity during the Age of the Discoveries. Be sure not to miss the beautifully glazed tiles called azulejos which decorate most of the country’s buildings and monuments. If golfing is a favorite, Portugal offers more than forty top-class courses including San Lorenzo which was officially recognized as one of Europe’s best championship courses. Surfing, water-skiing, swimming, horse-riding, and cycling are just some of the sporting activities one can enjoy while visiting. Portuguese cuisine is very distinctive and offers many different specialties that have evolved from local ingredients and Portuguese traditions. Much of the cooking is spiced based thanks to the accomplishments of Vasco de Gama and other navigators of his time. He and his men circled the globe in search of pepper, cloves, curry, nutmeg, and cinnamon. All of which serve as the base of today’s Portuguese cooking. 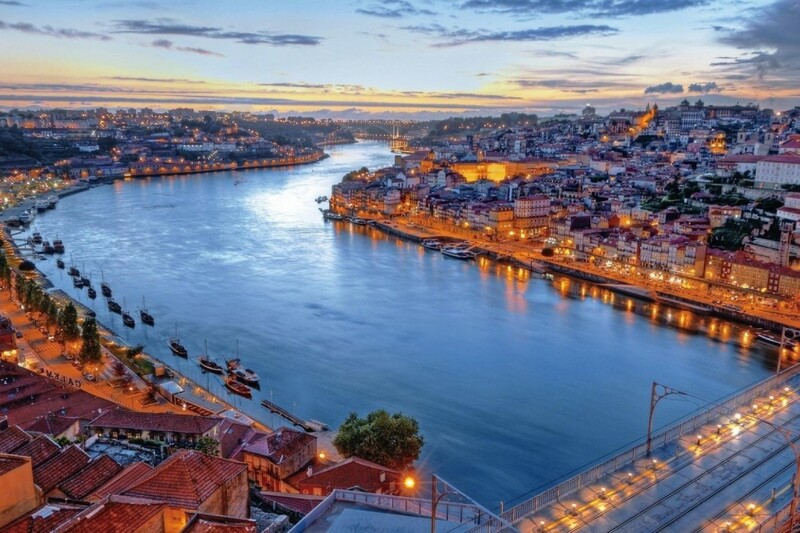 Portugal’s rich cultural heritage extends to it’s capital city of Lisbon. This gorgeous city is widely popular for it’s restored palaces, stunning churches, and an immaculate hilltop castle. It’s most popular shopping area is the Baixa, which is made up of several small streets including the traffic-free Rua Augusta. A short walk from there brings you to Rua de Santa Catarina or downtown. Here you’ll find several quaint boutiques and stores. You’ll also find the illustrious Meridien Park Atlantic Hotel. Other accomidations range from fabulous five-star resorts to your most basic rooms. The towns of Cascais ans Estoril offer a more relaxed alternative as apposed to the hustle and bustle of city life. Apart from the hotels, it is also possible to stay in the more personal setting of a manor house. Here the guests are encouraged to eat and interact with the family. Portugal is full of so much history and culture. It is a place that should be explored little by little so not to miss anything this wonderful country has to offer. As Northern European women we tend to be taller and larger framed than our Latin counterparts. This can sometimes prove to be problematic when clothes shopping in Spain. It can be disheartening to discover that you have gone up a couple of dress sizes since arriving in Spain. Don’t panic, you don’t need to resort to low fat, low carb or low calorie just yet. The sizes are definitely smaller and vary greatly. The good news is for tall women, as trouser legs tend to be long as many stores offer a cheap, alteration service, which everyone seems to use. Personally, in the UK I am a Next 6/8, whereas in Spain a size 40 (12) jeans positively grips my thighs. In fact in the UK I would fall into the “slim” category but in Spanish fitting rooms I have almost had to be surgically removed from trousers whilst they tell me that they are the biggest size that they do. Ironically, it goes against our traditional notion of Latin women being, well, shall we say, on the curvaceous side. On the contrary, if you look at the staff employed in women’s fashion shops, they are mostly petite and incredibly svelte. If you have a good look around, especially places like Marbella, there seems to be a clear connection between wealth and slimness. It seems that as wealth increases, weight decreases. Therefore, you will find that a lot of the boutiques around Marbella, especially around Puerto Banus, stock very tiny skimpy clothes. There isn’t the vast selection of high street names that we are used to as people still enjoy shopping in individual shops which stock just a few sizes of each item. As you can imagine, if you shop this way, it can be pretty expensive as such shops do not enjoy the economies of scale that the monopolising groups such as the Arcadia Group do. Stores such as Zara have been very successful due to the Japanese, automotive methods that they employ. The average turnaround for design through to shop floor is just three weeks. Their ability to keep up with the latest trends and replicate catwalk looks explains their popularity. They are always packed, especially on a Saturday and by the end of the evening the stores look completely ransacked. Their main drawback is that they cater only for the size 8 to 12. I wear a UK size 10 for tops but in Zara I wear an L (large), the only size up being an XL. You just need to look at the shop window displays and you instantly know the target age, unlike in the UK, where anyone can find anything appropriate to their age from 14 to 64 in “trendy” shops such as New Look. So, in that sense, you could say that there is a lot of age segregation. Shops such as Berska are evidently against anyone over a size 10 and over the age of 25. Zara, on the other hand, attempts to satisfy a wider age range by splitting its stores into three departments. Zara Basic is targeted at the 21 to 35 age group with a good range of basics mixed with the latest trends. The durability of most products is probably one season if washed once per week. The prices are very reasonable, with a pair of smart/casual trousers costing around 25 euros and cotton tops around 15. Zara woman is targeting an older age group in a higher income bracket. The quality is better and the designs are more sophisticated. For the casual/funky teens and students, there’s TRF, which is very young, eclectic, cheap and tiny. Zara also do menswear and children’s wear. They offer an alteration service for their clothes. A basic shortening of trouser leg costs about 4 euros. Mango is another high fashion chain targeting the 20 to 35 range. The quality is similar to Zara but can be slightly pricier. Again, the sizes are small. Promod targets a 35 + group. It is on a par with Principles and Wallis. Lots of smart casual clothes and patterned tops. Again, a UK 12 would need a size 42. They also have great, reasonably priced accessories including jewellery, bags, shoes and belts. Massimo Duttii appeals to smart but casual, classic, preppy, successful thirty somethings. The quality is very good but they don’t follow high fashion trends like Zara. El Corte Ingles is the main department store which stocks designers ranging from Morgan to French Connection for 20s and 30s. There are also Spanish designers and some familiar names from the UK department stores such as Liz Claiborne I always find it a bit disappointing and very expensive. 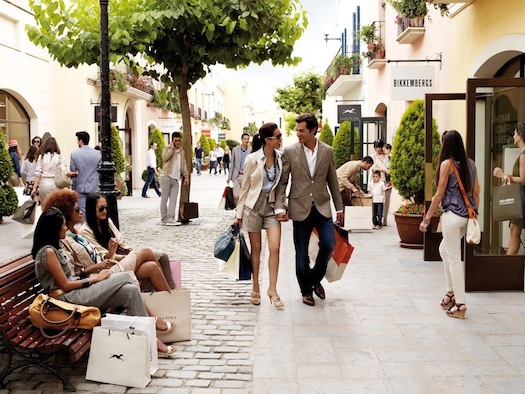 If you plan to check out the high street sales in Spain, you might be disappointed. Big discounts i.e. 50% are scarce, as most stores only offer 20%. There are two sales per year summer and January. One thing is for sure, when shopping in Spain, you don’t need to worry that your clothes might be discounted next week as often happens in the UK. Clothes shops just don’t do promotional offers as there isn’t the same amount of competition on the high street. Below is a conversion chart to enable you to find your Spanish size when clothes shopping. These sizes are the “equivalents” but be warned there is a lot of variation and you might need a size bigger! I would suggest that when trying on clothes take a range of sizes in with you and try not to look at the size label too much as it really doesn’t mean much. Concentrate on the fit and remember that many shops have an alteration (arreglos) service if you ask.